Luigi Galvani (9 September 1737 - 4 December 1798) was an Italian physician and physicist. While dissecting a frog at a table where he had been conducting experiments with static electricity, Galvani touched an exposed sciatic nerve of the frog with his metal scalpel, which had picked up a charge. At that moment, he saw the dead frog's leg kick as if in life. The observation made Galvani the first investigator to appreciate the relationship between electricity and animation (life). He is typically credited with the discovery of biological electricity. The first steam engine arrived in the British American colonies which later became the USA, used to pump water from Colonel John Schuyler's copper mine in New Jersey. Charles Durant, the first US aeronaut, flew a balloon from Castle Garden, in New York City, to Perth Amboy, New Jersey. John Herschel took the first glass plate photograph. H. Goldschmidt discovered asteroid #56 Melete. H. Goldschmidt discovered asteroid #61 Danae. C. H. F. Peters discovered asteroid #189 Phthia. A. Charlois discovered asteroids #297 Caecilia and #298 Baptistina. Jupiter's satellite Amalthea was discovered by E. E. Barnard. Orville Wright made the first airplane flight with a duration of over an hour, at Fort Myer, Virgina. It was his second flight of the day. K. Reinmuth discovered asteroid #938 Chlosinde. K. Reinmuth discovered asteroid #1067 Lunaria. 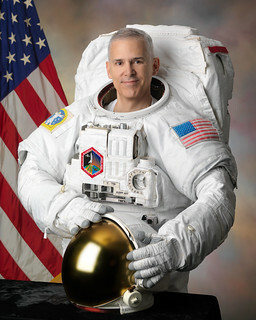 M. Wolf discovered asteroid #1365 Henyey. K. Reinmuth discovered asteroid #1160 Illyria. In the first rocket-mail service, Schmiedl's Post Rocket R1, with 333 letters aboard, was launched 5 km from the Hochtroetsch (Austria) to Semriach. A month later, the first return service rocket was launched at night from Semriach to Hochtroetsch. H. Van Gent discovered asteroids #1336 Zeelandia, #1337 Gerarda, #1383 Limburgia, #1384 Kniertje, #1670 Minnaert and #1925 Franklin-Adams. Y. Vaisala discovered asteroid #1535 Paijanne. "The first actual case of a (computer) bug being found": a moth lodged in a relay of a Mark II computer at Harvard University, causing computational errors. Grace Hopper removed it with tweezers and taped it into the log. The US Navy's Project Vanguard was chartered to develop and procure a satellite launch vehicle, place a scientific satellite in Earth orbit during IGY, and track the flight to demonstrate the satellite actually attained orbit. K. Reinmuth and I. Groenevel discovered asteroid #1691 Oort. Goethe Link Observatory discovered asteroid #2065 Spicer. NASA launched the successful ballistic Big Joe test flight of the Mercury capsule for evaluation of the heat-protection concept, aerodynamic shape, and recovery system. NASA successfully launched the Atlas D MA Big Joe spacecraft test mission from the Atlantic Missle Range (AMR) on 9 September 1959, in which a boilerplate model of the Mercury capsule was carried on an Atlas (Big Joe) missile to an altitude of 153 km, and recovered in the South Atlantic after surviving reentry heat of more than 10,000 degrees Fahrenheit. NASA and the USAF launched X-15A IR scan,Abl TPS Test mission # 147 from above Edwards Air Force Base, California, in which Robert Rushworth reached a maximum speed of 5687 kph (Mach 5.16), and attained a maximum altitude of 29.627 km. T. Smirnova discovered asteroid #2120 Tyumenia. USSR launched Molniya 2-14 from Plesetsk for operation of the telephone and telegraph communication system within the USSR, and transmission of Central Television programs to stations in the Orbita and participating international networks. Japan launched Kiku 1 (JETS-1, Japanese Engineering Test Satellite-1) from Tanegashima to confirm launch technologies, acquire satellite tracking and control technologies, test extendable antennas, and perform satellite measurements. 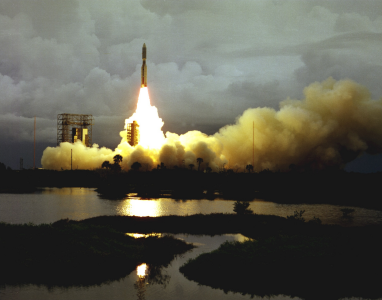 NASA launched the Viking 2 Orbiter/Lander mission to Mars. The Viking project consisted of launches of two separate spacecraft to Mars, Viking 1, launched on 20 August 1975, and Viking 2, launched on 9 September 1975. Each spacecraft consisted of an orbiter and a lander. After orbiting Mars and returning images used for landing site selection, the orbiter and lander detached and the lander entered the Martian atmosphere and soft-landed at the selected site. The orbiters continued imaging and other scientific operations from orbit while the landers deployed instruments on the surface. The fully fueled orbiter-lander pair had a mass of 3530 kg. After separation and landing, the lander had a mass of about 600 kg and the orbiter 900 kg. The lander was encased in a bioshield at launch to prevent contamination by terrestrial organisms. Following launch and a 333 day cruise to Mars, the Viking 2 Orbiter began returning global images of Mars prior to orbit insertion. The orbiter was inserted into a 1500 x 33,000 km, 24.6 hr Mars orbit on 7 August 1976 and trimmed to a 27.3 hr site certification orbit with a periapsis of 1499 km and an inclination of 55.2 degrees on 9 August. Imaging of candidate sites was begun and the landing site was selected based on these pictures and the images returned by the Viking 1 Orbiter. The lander and its aeroshell separated from the orbiter on 3 September 19:39:59 UT. At the time of separation, the lander was orbiting at about 4 km/s. After separation rockets fired to begin lander deorbit. After a few hours, at about 300 km altitude, the lander was reoriented for entry. The aeroshell with its ablatable heat shield slowed the craft as it plunged through the atmosphere. During this time, entry science experiments were performed. At 6 km altitude at about 250 m/s the 16 m diameter lander parachutes were deployed. Seven seconds later the aeroshell was jettisoned, and 8 seconds after that the three lander legs were extended. In 45 seconds the parachute had slowed the lander to 60 m/s. At 1.5 km altitude, retro-rockets were ignited and fired until landing 40 seconds later at about 2.4 m/s. The landing rockets used an 18 nozzle design to spread the hydrogen and nitrogen exhaust over a wide area. It was determined that this would limit surface heating to no more than 1 degree C and that no more than 1 mm of the surface material would be stripped away. The Viking 2 Lander touched down about 200 km west of the crater Mie in Utopia Planitia at 48.269 deg N latitude and 225.990 deg W longitude at a reference altitude of 4.23 km relative to a reference ellipsoid with an equatorial radius of 3397.2 km and a flatness of 0.0105 (48.039 deg N, 226.032 deg W planetographic) at 3 September 1976 22:58:20 UT (9:49:05 AM local Mars time). Approximately 22 kg of propellants were left at landing. Due to radar misidentification of a rock or highly reflective surface, the thrusters fired an extra time 0.4 seconds before landing, cracking the surface and raising dust. The lander settled down with one leg on a rock, tilted at 8.2 degrees. The cameras began taking images immediately after landing. The Viking 2 Lander operated on the surface for 1281 Mars days and was turned off on 11 April 1980 when its batteries failed. The primary objectives of the Viking orbiters were to transport the landers to Mars, perform reconnaissance to locate and certify landing sites, act as a communications relays for the landers, and to perform their own scientific investigations. The orbiter, based on the earlier Mariner 9 spacecraft, was an octagon approximately 2.5 m across. The total launch mass was 2328 kg, of which 1445 kg were propellant and attitude control gas. The eight faces of the ring-like structure were 0.4572 m high and were alternately 1.397 and 0.508 m wide. The overall height was 3.29 m from the lander attachment points on the bottom to the launch vehicle attachment points on top. There were 16 modular compartments, 3 on each of the 4 long faces and one on each short face. Four solar panel wings extended from the axis of the orbiter, the distance from tip to tip of two oppositely extended solar panels was 9.75 m. Power was provided by eight 1.57 x 1.23 m solar panels, two on each wing, were made up of a total of 34,800 solar cells that produced 620 W of power at Mars. Power was also stored in 2 nickel-cadmium 30-amp-hr batteries. The orbiter's main propulsion unit was mounted above the orbiter bus. Propulsion was furnished by a bipropellant (monomethyl hydrazine and nitrogen tetroxide) liquid-fueled rocket engine which could be gimballed up to 9 degrees. The engine was capable of 1323 N thrust, translating to a delta-V of 1480 m/s. Attitude control was achieved by 12 small compressed-nitrogen jets. An acquisition Sun sensor, a cruise Sun sensor, a Canopus star tracker and an inertial reference unit consisting of 6 gyroscopes allowed three-axis stabilization. Two accelerometers were also on board. Communications were accomplished through a 20-W S-band (2.3 GHz) transmitter and 2 20-W TWTA's. An X-band (8.4 GHz) downlink was also added specifically for radio science and to conduct communications experiments. Uplink was via S-band (2.1 GHz). A 2-axis steerable high-gain parabolic dish antenna with a diameter of approximately 1.5 m was attached at one edge of the orbiter base, and a fixed low-gain antenna extended from the top of the bus. Two tape recorders were each capable of storing 1280 Mbits. A 381 MHz relay radio was also available. Temperature control was achieved by multilayer insulation, thermally activated louvers, and electrical heaters. Scientific instruments for conducting imaging, atmospheric water vapor, and infrared thermal mapping were enclosed in a temperature controlled, pointable scan platform extending from the base of the orbiter. The scientific instrumentation had a total mass of approximately 72 kg. Radio science investigations were also done using the spacecraft transmitter. Command processing was done by two identical and independent data processors, each with a 4096-word memory for storing uplink command sequences and acquired data. The lander consisted of a 6-sided aluminum base with alternate 1.09 m and 0.56 m long sides, supported on three extended legs attached to the shorter sides. The leg footpads formed the vertices of an equilateral triangle with 2.21 m sides when viewed from above, with the long sides of the base forming a straight line with the two adjoining footpads. Instrumentation was attached to the top of the base, elevated above the surface by the extended legs. Power was provided by two radioisotope thermal generator (RTG) units containing plutonium 238 affixed to opposite sides of the lander base and covered by wind screens. Each generator was 28 cm tall, 58 cm in diameter, had a mass of 13.6 kg and provided 30 W continuous power at 4.4 volts. Four wet-cell sealed nickel-cadmium 8-amp-hour, 28 volt rechargeable batteries were also onboard to handle peak power loads. The lander's propulsion was provided for deorbit by a monopropellant hydrazine (N2H4) rocket with 12 nozzles arranged in four clusters of three that provided 32 N thrust, giving a delta-V of 180 m/s. These nozzles also acted as the control thrusters for translation and rotation of the lander. Terminal descent and landing was achieved by three (one affixed on each long side of the base, separated by 120 degress) monopropellant hydrazine engines. The engines had 18 nozzles to disperse the exhaust and minimize effects on the ground, were throttleable from 276 N to 2667 N. The hydrazine was purified to prevent contamination of the Martian surface. The lander carried 85 kg of propellant at launch, contained in two spherical titanium tanks mounted on opposite sides of the lander beneath the RTG windscreens, for a total launch mass of 657 kg. Control was achieved through the use of an inertial reference unit, four gyros, an aerodecelerator, a radar altimeter, a terminal descent and landing radar, and the control thrusters. Lander communications were accomplished through a 20 W S-band transmitter and two 20 W TWTA's. A 2-axis steerable high-gain parabolic antenna was mounted on a boom near one edge of the lander base. An omnidirectional low-gain S-band antenna also extended from the base. Both these antennae allowed for communication directly with the Earth. A UHF (381 MHz) antenna provided a one-way relay to the orbiter using a 30 W relay radio. Data storage was on a 40 Mbit tape recorder, and the lander computer had a 6000 word memory for command instructions. The lander carried instruments to achieve the primary scientific objectives of its mission: to study the biology, chemical composition (organic and inorganic), meteorology, seismology, magnetic properties, appearance, and physical properties of the Martian surface and atmosphere. Two 360-degree cylindrical scan cameras were mounted near one long side of the base. From the center of this side extended the sampler arm, with a collector head, temperature sensor, and magnet on the end. A meteorology boom, holding temperature, wind direction, and wind velocity sensors extended out and up from the top of one of the lander legs. A seismometer, magnet and camera test targets, and magnifying mirror are mounted opposite the cameras, near the high-gain antenna. An interior environmentally controlled compartment held the biology experiment and the gas chromatograph mass spectrometer. The X-ray flourescence spectrometer was also mounted within the structure. A pressure sensor was attached under the lander body. The scientific payload had a total mass of approximately 91 kg. See also the Viking 2 Lander page. Harvard College discovered asteroid #2267 Agassi; N. Chernykh discovered asteroids #3233 Krisbarons and #3409. USSR launched the Venera 11 lander to Venus. USSR launched the Meteor 2-6 weather satellite from Plesetsk to gather meteorological information and data on penetrating radiation fluxes in circumterrestrial space. NASA launched the GOES 4 weather satellite from Cape Canaveral, Florida, which was positioned in geosynchronous orbit at 98 deg W 1980-1981; 135 deg W 1981-1983; 135-143 deg W 1983; 139 deg W 1984-1985; 10 deg W 1985; 44 deg W 1985-1988. GOES 4, launched 9 September 1980, was the sixth in a series of NASA-developed, NOAA-operated, geosynchronous operational spacecraft. The spin-stabilized spacecraft carried (1) a VISSR (visible infrared spin scan radiometer) atmospheric sounder (VAS) to provide high quality day/night cloudcover data, to take radiance-derived temperatures of the Earth/atmosphere system, and to determine atmospheric temperature and water vapor content at various levels, (2) a meteorological data collection and transmission system to relay processed data from central weather facilities to APT-equipped regional stations and to collect and retransmit data from remotely located Earth-based platforms, and (3) a space environment monitor (SEM) system to measure proton, electron, and solar X-ray fluxes and magnetic fields. The cylindrically shaped spacecraft measured 190.5 cm in diameter and 230 cm in length, exclusive of a magnetometer that extended an additional 83 cm beyond the cylindrical shell. The primary structural members were a honeycombed equipment shelf and thrust tube. The VISSR telescope was mounted on the equipment shelf and viewed the Earth through a special aperture in the side of the spacecraft. A support structure extended radially from the thrust tube and was affixed to the solar panels, which formed the outer walls of the spacecraft to provide the primary source of electrical power. Located in the annulus-shaped space between the thrust tube and the solar panels were stationkeeping and dynamics control equipment, batteries, and most of the SEM equipment. Proper spacecraft attitude and spin rate (approximately 100 rpm) were maintained by two separate sets of jet thrusters mounted around the spacecraft equator and activated by ground command. The spacecraft used both UHF-band and S-band frequencies in its telemetry and command subsystem. A low-power VHF transponder provided telemetry and command during launch and then served as a backup for the primary subsystem once the spacecraft had attained synchronous orbit. When GOES 5 VAS experienced a failure on 30 July 1984, GOES 4 was reactivated by NOAA to provide GOES 1 VISSR data relay services to western users. An Ariane 1 launched from Kourou suffered a Stage 3 turbopump failure, and could not deliver its ESA payloads to orbit, Marecs B (intended for maritime communications, planned for lease to Inmarsat) and Sirio 2. SSI and DLR launched Conestoga 1 (using surplus Minuteman I parts, the first private commercial rocket) from Matagorda Island, which reached an apogee of 309 km, for publicity, unrelated to Space Service's other launch vehicles, also named Conestoga. 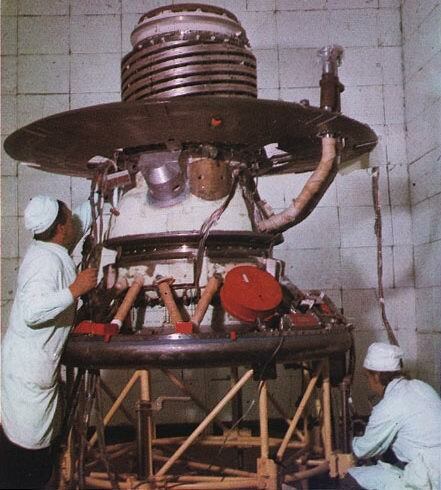 USSR launched Cosmos 1968, a Resurs landsat, from Plesetsk for investigation of the natural resources of the Earth in the interests of various branches of the national economy of the USSR, and international cooperation. USSR launched the Progress 38 unmanned resupply vessel from Baikonur to Mir. USSR launched Progress 38 to Mir on 9 September 1988. During the launch, the first test of the Buran ejection seat was made during ascent to orbit. The K-36M.11F35 seat was installed in an "experimental droppable compartment" installed in place of the Launch Escape Tower engine on top of the shroud. Progress 38 docked with Mir on 12 Sep 1988 01:22:28 GMT, delivered 2,000 kg of supplies including 300 kg of food, and refuelled Mir. Progress 38 undocked from Mir on 23 Nov 1988 12:12:46 GMT, and was destroyed in reentry on 23 Nov 1988 19:06:58 GMT. Total free-flight time 2.36 days. Total docked time 72.45 days. The US Air Force launched Navstar 2A-06 (USA 84) from Cape Canaveral, Florida, a GPS 2A-15 satellite component of the Global Positioning System, placed in Plane A Slot 4. During the 5h 06m Mir EO-16-1 EVA, cosmonauts Malenchenko and Musabayev repaired the station's external insulation, and checked the docking port. An Ariane 42L launched from Kourou carried the Telstar 402 communications satellite into a 292 x 19,340 km orbit. The spacecraft could not be contacted soon after launch and was subsequently replaced by Telstar 402-R in 1995. NASA launched STS 64 (Discovery 19, 64th Shuttle mission) carrying the LITE and SPARTAN-201 experiment platforms to space. A Zenit-2 booster launched from Baikonur carrying twelve Globalstar communications satellites suffered a computer error that caused a very premature engine shutdown during the second stage burn, and the vehicle fell in Siberia, rather than going to orbit. Russia launched Foton 12 from Plesetsk, carrying European microgravity experiments to space for fifteen days.